Donalea “Donna” Pearl Schoemig was born June 17, 1931 to Virginia Lucille Flarity (Hereford) and James William Flarity at General Hospital in Kansas City, Missouri. Donna attended East High School in Kansas City, Missouri. She met Kenny at TRW Auto Parts where they both were employed. They were married on August 29, 1959. Donna and Kenny purchased their home on South Liberty St in Independence where they resided for over 25 years. They sold their home when Kenny retired and moved to the Lake of the Ozarks. Donna developed Alzheimer’s in early 2000 and resided at home with Kenny until March of 2009 when she moved to Ozark Rehabilitation and Nursing facility in Osage Beach, MO. She fought Alzheimer’s for many years. Donna had many different jobs over the years, most consisted of Tax Accounting for various Tax Firms. She also worked as a Secretary for a variety of places; one of them was for Gordon Johnson, a fishing rod and reel manufacturer. Her last secretarial job was for the President of Woolf Brothers in Kansas City, Missouri prior to them going out of business. 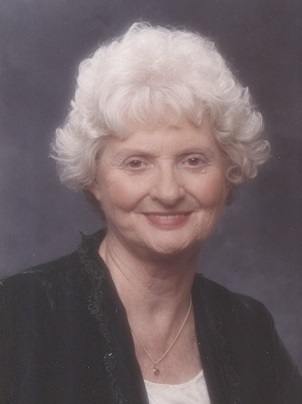 She enjoyed Sewing, Nascar, Baseball, Traveling, dogs, cooking and spending time with family and friends. Both her son and daughter enjoy cooking as her strong interest in it. Donna and Ken were fortunate to spend a few winters in Padre Island, Texas after retirement before they moved to the Lake of the Ozarks. On November 11, 2018, Donna passed after a very long battle with Alzheimer’s. She was preceded in death by her husband, Kenny of more than 50 years; her mother Virginia Lucille Moulder; her father James William Flarity; her sister Patricia Tolliver; many other family and friends. Donna leaves her son, Mark Schoemig of Camdenton, Missouri; her daughter, Debbie Reed and her husband, Bruce of Buckner, Missouri; her brother, Chuck McGaugh and his wife, Janice Kay. She leaves 4 grandchildren: Chris Goodman of Nevada, Missouri; Joshua Schoemig of Fort Scott, Kansas; Staci Chivetta and her husband Dan of Merriam, Kansas; Alan Reed of Kansas City, Missouri. She also leaves 4 great grandchildren, many nieces and nephews, and soon to be 1 great-great grandchild. Donna was treated like a queen at the nursing home as everyone there loved her so much. The staff was excellent to her and all of the residence enjoyed her. She will be missed by all, but she is back in her loving husband’s arms again and no longer is suffering with Alzheimer’s. Visitation will be 1-2PM, Monday, November 19 at Park Lawn, 8251 Hillcrest Rd. ; with 2PM burial in Green Lawn Cemetery. You shall be missed by your loved ones, Aunt Donna. I have many fond memories of your kindness to me as a child and an adult. You taught me many things over the years. May you rest in peace as you begin your new journey.